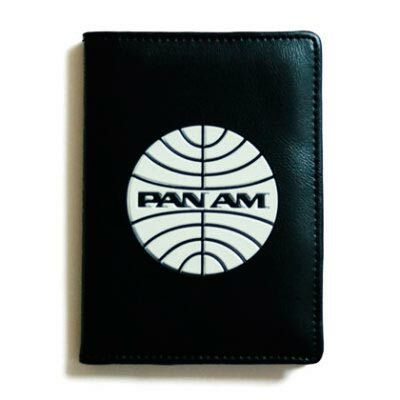 Travel in style with the Pan Am Passport Cover. The exterior is made of high quality leather-like PU and features an iconic Pan Am globe logo in Vintage White and is embossed for a high quality appeal. Inside features: signature airport print in 100% Polyester Pan Am Blue with Vintage White pattern. Clear slip pocket window allows for easy access to ID Info while holding Passport securely in place. Also, features 5 credit card / ID slip pockets. Enjoy the ride!